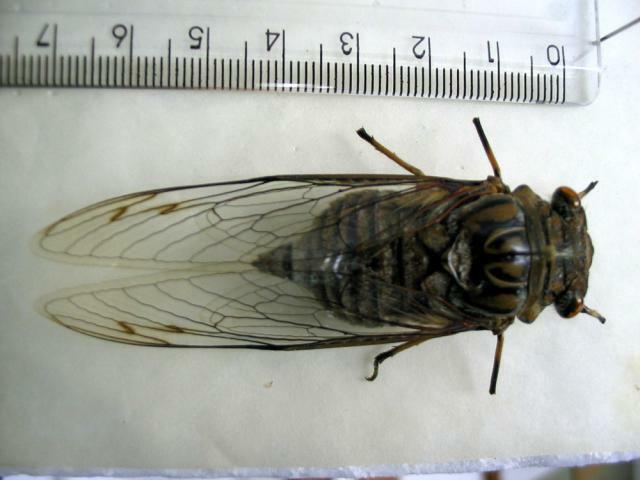 Fidicina mannifera mannifera is a cicada found in Brazil specifically, as well as South and Central America. 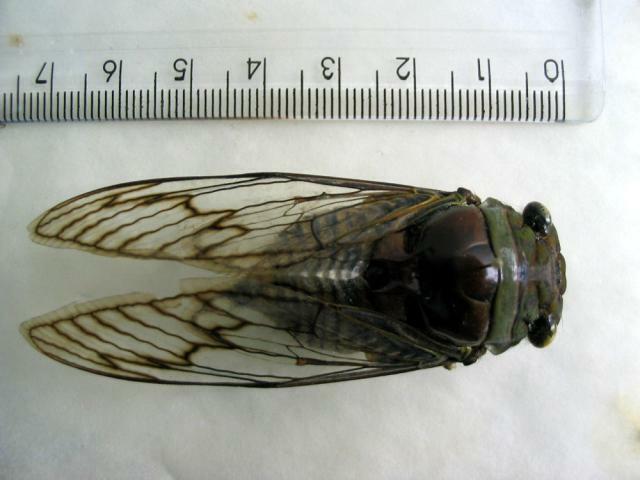 Fidicinoides sericans (Stål, 1854) is a cicada found in Brazil. 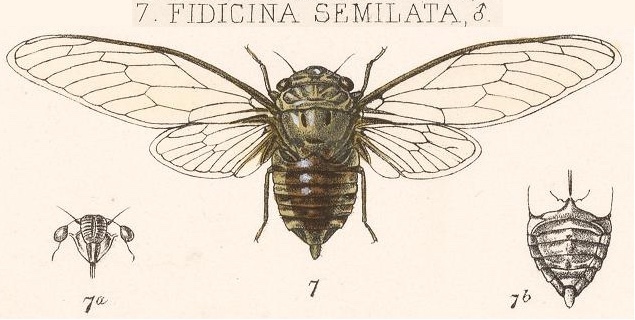 Its name changed when it was moved from the Fidicina Amyot & Audinet-Serville, 1843 genera, to the Fidicinoides Boulard & Martinelli, 1996 genera. 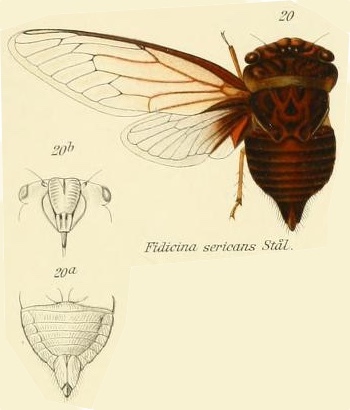 The image says Fidicina sericans, but the newer name of theis cicada is Fidicinoides sericans. 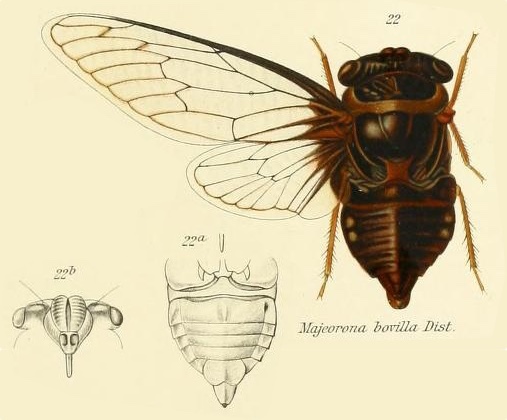 Orialella boliviana (Distant, 1904) was formerly known as Oria boliviana. 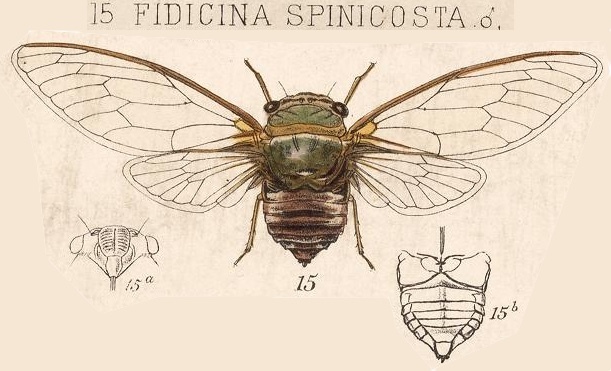 Yes, its name has changed since 1913. 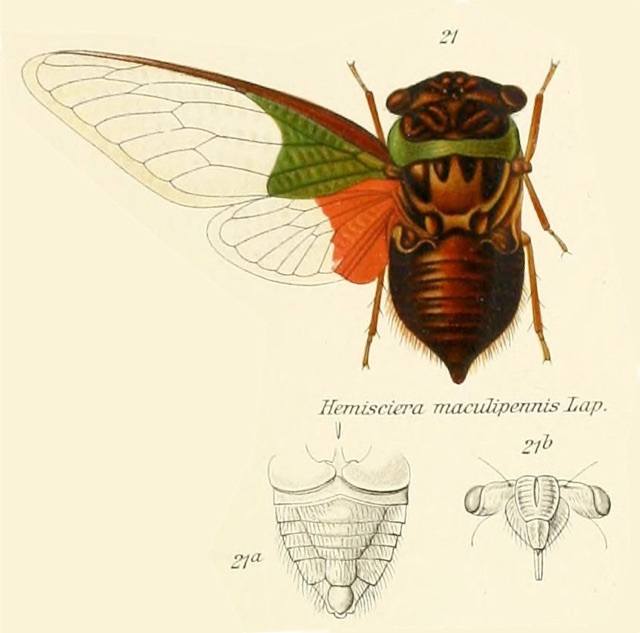 The genus Oria still exists. 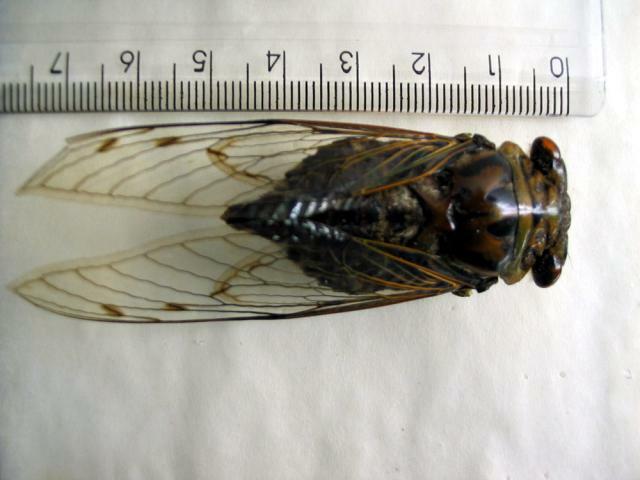 It is found in Bolivia and Brazil. 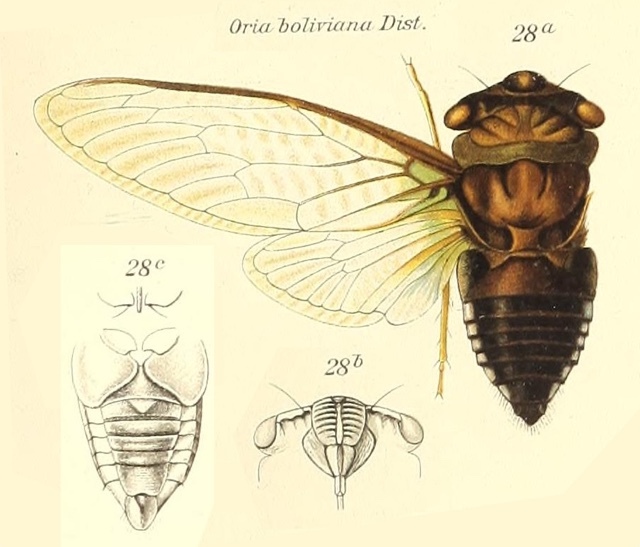 The image says Oria boliviana, but the newest name of this cicada is Orialella boliviana.